As we previously announced, there is a new LOST exhibit at The Paley Center for Media in Beverly Hills, CA. It features screen-used LOST props and costumes that will be up for bid in our next charity auction in September – hosted by Blacksparrow Auctions! 100% of the proceeds from all auction items sold on behalf of Cancer Gets LOST will be donated directly to the American Cancer Society, and a portion of all proceeds from consigned items acquired by Blacksparrow Auctions will also be donated to the ACS! 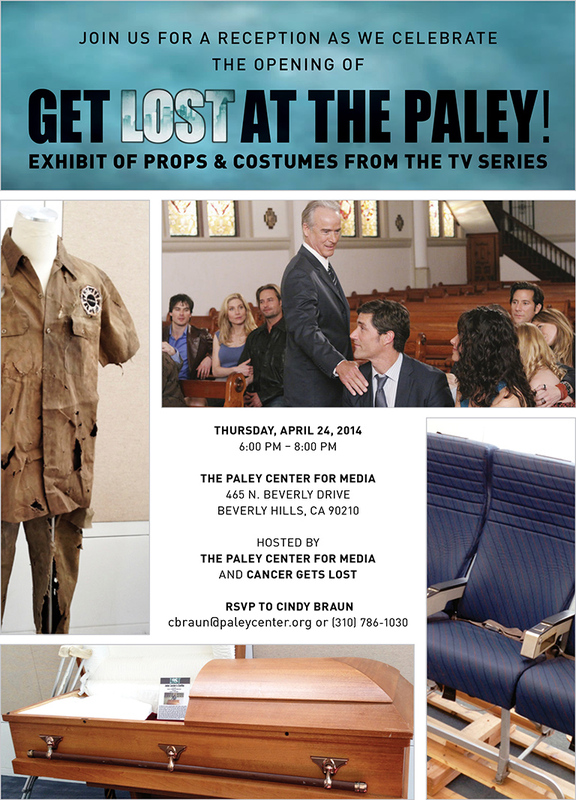 The Paley Center is generously hosting an official reception on Thursday, April 24 called Get LOST at The Paley – we will both be there, along with the press and a few special guests! The event is open to the public, but you must RSVP to the email address on the invite below. The exhibit will be on display for the next several months, so we hope that many of you have the chance to visit and let us know about your experience! We are so grateful for this opportunity, and would like to thank both Blacksparrow Auctions and The Paley Center for Media for allowing us to be a part of this amazing exhibit. Their support, in addition to the incredible ongoing support of the LOST community, continues to be equally humbling and motivating. Our #1 goal and priority is to raise awareness and money for cancer charities, and because of YOU we are able to do so! In addition, we have made a few familiar LOST friends during our ongoing charity auction outreach, and recently Nestor Carbonell kindly recorded this video to help us promote the cause! Namaste, Nestor! And we hope to see many of you next week! 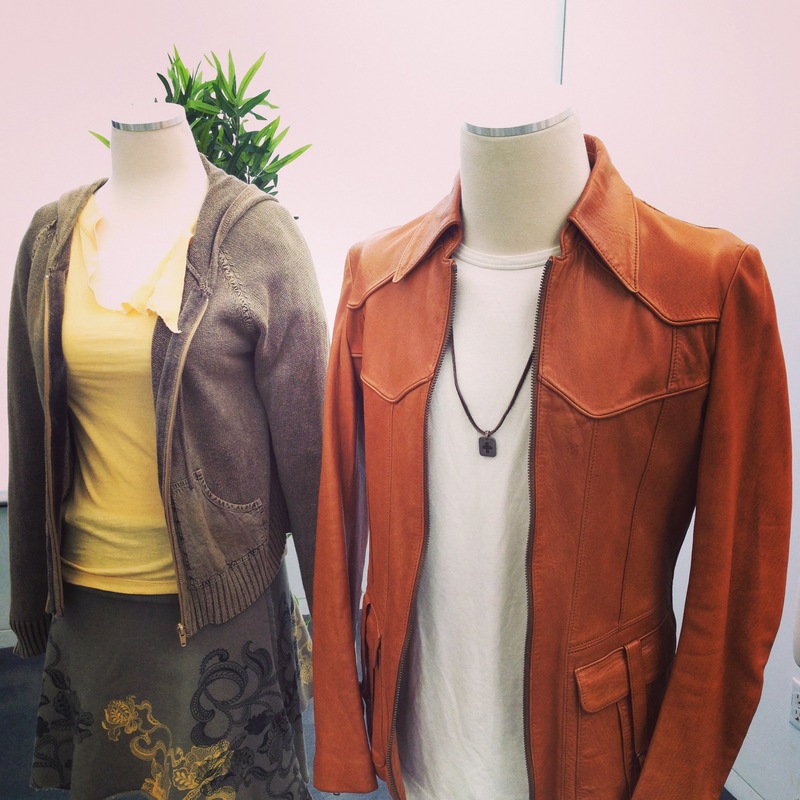 Hosted by Another: Blacksparrow Auctions & The Paley Center LOST Exhibit!